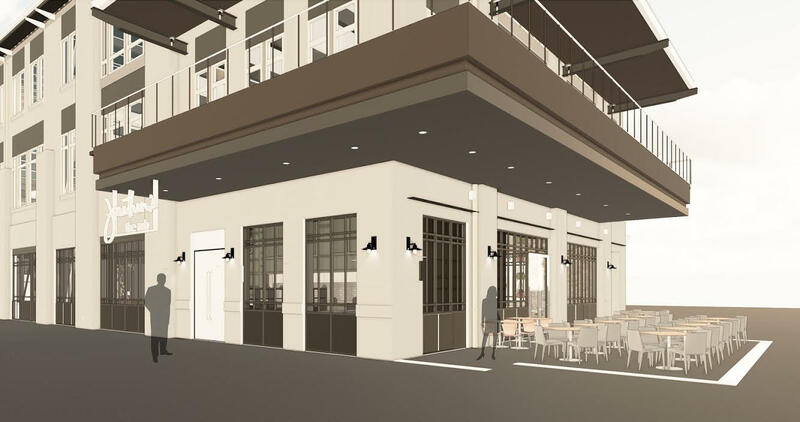 Architectural rendering of the patio side of the second, forthcoming Jonathan’s The Rub at Memorial Green. Rendering courtesy of Gensler. For a decade, Jonathan’s The Rub has called 9061 Gaylord in Hedwig Village home—its only home. The bustling neighborhood spot is popular for a diverse menu that includes classic Italian-American dishes, steaks and seafood. Now, it looks like there will finally be a second location. Plans were revealed and key consultants introduced last night at a 10-year anniversary party and fundraiser for the Houston Area Women’s Center. This is not the first attempt by chef and owner Jonathan Levine to grow the business. Back in 2014, it looked like he would be opening a second location at The Treehouse at Memorial City. Those plans were later scrapped. (Liberty Kitchen ultimately set up shop there instead.) However, it looks like the second time around is the charm. Levine initially discussed plans to open at mixed-use development Memorial Green with Eric Sandler of CultureMap Houston in mid-2017. Since then, progress has continued apace. A representative for the restaurant says that all permits are approved and the build-out is a go. The opening is anticipated for this autumn. Gensler is designing the 5,000-square-foot space to feature a covered outdoor patio and private dining for up to 24 guests. “We want it to have the same feel but with brand new construction,” explained Levine. He will serve as head chef at the new restaurant. Shepard Ross (of forthcoming Bravery Hall; previously with Pax Americana, Glass Wall and Brooklyn Athletic Club) is consulting on restaurant operations as well as putting his knowledge as a sommelier and winemaker to work. He’s also providing input on the interior designs and overall menu. 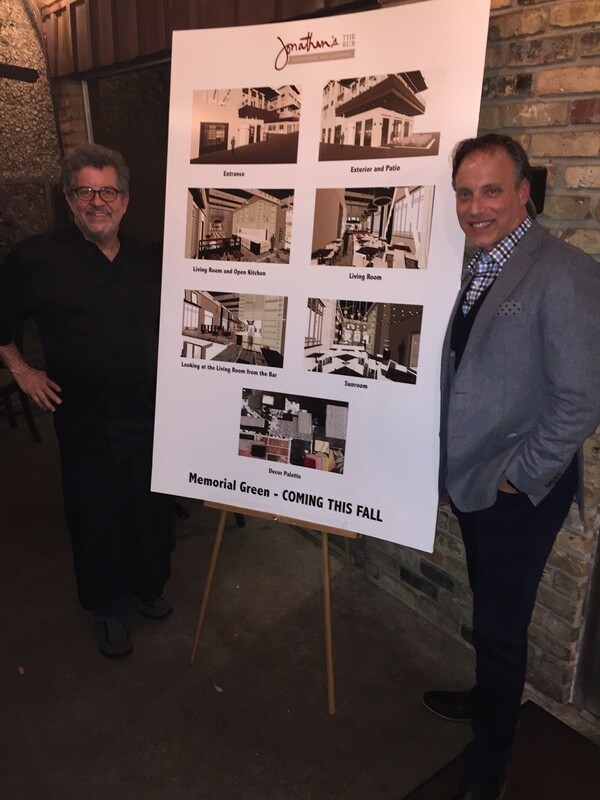 Owner and head chef Jonathan Levine and Shepard Ross. Photo by Beth Levine. While the menu is still in development, a representative for Jonathan’s The Rub says to expect more Houston-oriented fare with an emphasis on international cuisine, specifically pan-Latin. Levine is headed to Mexico City and Oaxaca in the coming months to study the regional cuisines and take some local classes as well. Editor’s note: Jonathan Levine is not related to Beth Levine, the author of this article—at least as far as we all know.